My hour-long program-within-a-program Catch of the Day presents tracks from new and imminent audio releases in many genres, with off-the-cuff intros plus on-the-spot evaluations. We air at noon Hawaiian-Aleutian Standard Time under the umbrella of The Alpha and Omega Show, hosted by the redoubtable Paul Janes-Brown, actor, critic, and chorister. Officially, the two of us compare notes for 60 minutes, but we've been known to run into overtime. ﻿Please join us on Mana'o Radio 91.7 FM, Maui's leading noncommercial, 100%-listener-supported, 100%-volunteer-staff broadcaster, or live on the web at manaoradio.com. "I may have the voice of an angel," the French soprano Natalie Dessay. Ah, but did she have the voice of an angel? Her early ambitions were to dance and to act, pursuits well suited to her piquant gamine beauty, spiky dramatic instincts, and flair for the unexpected. She seems to have added singing to her bag of tricks more or less as an afterthought, for the competitive edge. Truth to tell, her vocal material as such was never all that seraphic. With each passing year, conservatories churn out flocks of high, light sopranos, many of endowed with more prismatic and alluring instruments than Dessay's ever was. Ah, but her package of theatrical gifts, rock-solid musicianship, stupendous technique, and impish fantasy catapulted her into the empyrean. Among operatic careers of the past quarter century, try to nam more dazzling. Better than many a colleague, Dessay knew her limits.Initially mostly in comic but later increasingly in tragic roles by Handel, Mozart, the bel canto composers, Offenbach, and Richard Strauss, as well as in French showcases like Gounod's Roméo et Juliette and Massenet's Manon, Dessay took a back seat to no one. If she could but dream of sacred monsters like Salome or Isolde or Medea, there was still La Traviata—admittedly a big stretch, which she tackled only as a sort of coda to her career, late, briefly, mostly to ecstatic acclaim. And then, not yet 50, she walked away. "I didn't abandon opera," she has noted. "Opera abandoned me." Her plan going forward would be to explore other forms: straight plays, musicals, recitals in various genres. How about teaching? No thanks. "You can't teach personality," Dessay has explained. "You have it or you don't." Some weeks ago, Catch of the Day presented Dessay in show tunes from a recent American album chockfull of surprises and fresh insights. This week, we looked into another new release, entitled, simply, Schubert (Sony Classical 88985419882), which features, in haphazard sequence, a dozen-plus of the composer's Top 40. On paper, it all looked irresistible. With the highest of hopes, I preselected four tracks: the luxuriant Persian-scented love lyric "Suleika"; the roiling Gothic monologue "Gretchen am Spinnrade"; the noble elegy "Die Götter Griechenlands"; and to close, that horror story in miniature, "Erlkönig," involving a narrator, a man galloping by night through a haunted wood, his delirious son in his arms, and a trickster demon determined to steal the boy away. What, I wonder now, can have possessed Dessay to let this embarrassment out of the can? Sure, the occasional verbal inflection or trick of phrasing hints at a personal point of view. 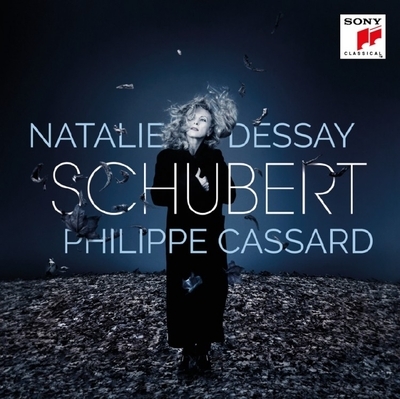 That said, neither such minutiae nor expert support from Philippe Cassard at the keyboard can conceal Dessay's woebegone vocal estate, the tattered tone, the wobble. The voice might be a goblin's—childlike yet parched with age. Of the sensuality inherent in "Suleika" and "Gretchen," she shows nary a scintilla. The consonant clusters of the German language trip her up as they never used to in the pyrotechnics of Strauss. The Weltschmerz of "Die Götter Griechenlands" has no light or shadow. Best, by default, is "Erlkönig," in which Dessay projects the lonely persona of an eerie little Cosette, babbling to herself as a tempest rages around her. The story-telling skills on offer are considerable, but this tour de force fares best in the hands of a singer who brings to the party not only tremendous personal gravitas but also a ventriloquist's gift for contrasting voices. Kinder hearts than mine may choose to classify this effort as "interesting" or alternately as an experiment. But isn't either label the kiss of death? 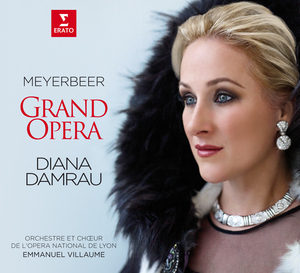 What a relief it was then to jump to the new anthology Meyerbeer: Grand Opera, a vehicle for the sumptuous Diana Damrau somewhere near the pinnacle of her powers, splendidly accompanied by the Orchestra and Chorus of the Opéra National de Lyon under Emmanuel Villaume (Erato 0190295849016). In his heyday, Meyerbeer's contemporaries ranked his extravaganzas for the Paris Opéra—Robert le Diable (1830), Les Huguenots (1836), Le Prophète (1849)—with the supreme frescoes of Michelangelo. An upstart named Richard Wagner campaigned against him, stole some pages from his playbook, and ultimately prevailed. And let's not forget the rise of Verdi. Costly to mount and hard to cast, Meyerbeer's blockbusters have languished in eclipse for the past century or more, granted only the rarest revivals. Is the time ripe for a renaissance? If so, Damrau is determined to lead the parade. Realizing a long-held passion project, she here dusts off once-standard showpieces from Meyerbeer's Parisian hits, familiar to collectors in renditions by the likes of Amelita Galli-Curci, Lily Pons, and Joan Sutherland. Digging deeper in the archives, she has recovered Italian and German gems from operas of which few will recognize so much as the titles. We gambled on a scena never before recorded from the forgotten Ein Feldlager in Schlesien: a melodious, richly rewarding vehicle, it turns out, for Damrau's glamorous, impassioned vocalism. Impresarios, please take note. 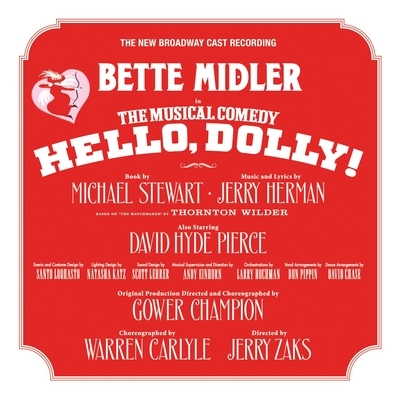 Our third diva of the hour was Honolulu's own Bette Midler, heading the Broadway revival of Hello, Dolly!, with its indestructible Jerry Herman score. Lord knows, this ain't Stephen Sondheim, but who wouldn't kill for the royalties? For my money, the best we got from our leading the lady was "Before the Parade Passes By," her solo to ring down the first-act curtain. Yes, the message is generic: Watch out, World! Here I come! But there's subtext to work with, and Midler makes it count, the heartache as much as the heart.